I recently returned to Kenosha after more than a decade living in Israel and traveling extensively in neighboring Egypt and Jordan. At the epicenter of the ancient world, Jerusalem has a magnetic magical energy around it. Propelled by the prophecies of three religions, Jerusalem is a haven for zealots of the most unusual variety. “Driftwood” is a photographic series taken over several years that documents and explores Jerusalem Syndrome — a state of religious psychosis in which individuals believe they are prophets or even the Messiah. Many believe they are carrying and receiving messages directly from God. I discovered some afflicted with this syndrome quietly dedicating their days to meditation in makeshift huts scattered across the mountains of the Judean Desert that encircles the city. I was lucky enough to be allowed access to their world for many years on a personal and artistic level. Johnathon the Baptist, one of the main subjects of this project, abandoned his medical practice in Illinois after coming to Jerusalem as a tourist and has lived for more than a decade in a booby-trapped, camouflaged shack that he built out of tarps and sticks. Large parts of his days are dedicated to prayer and writing strange combinations of biblical verse, poetry and prophecy in the flawless penmanship of an ancient scribe. Another “Driftwood” subject, a man from Los Angeles known only as Revolution, believed he had to stay in Jerusalem in order to dismantle democracy and usher in a new era of Biblical law in the Holy Land. My photographic series documents their everyday lives, ranging from a whirlwind of public proselytizing to deep isolation in their home environments. I was lucky enough to be allowed access to their world for many years on a personal and artistic level. After returning to Kenosha, I came across Fusion, the performance space and gallery in the Harborside neighborhood, by chance a few months ago. 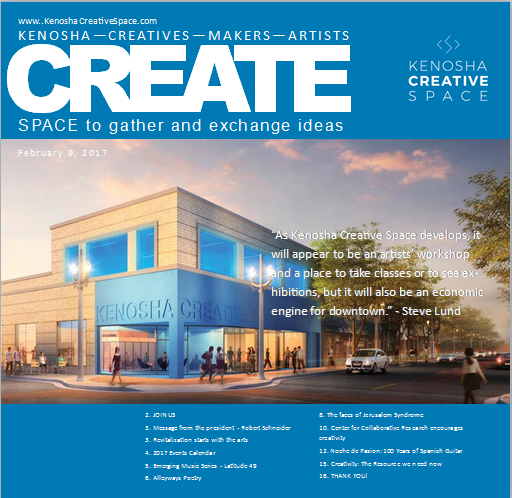 That led to my discovery of and subsequent association with Kenosha Creative Space. In coordination with Fusion and Kenosha Creative Space, my 35 mm black and white photography exhibit is currently on display at Fusion through February 13. 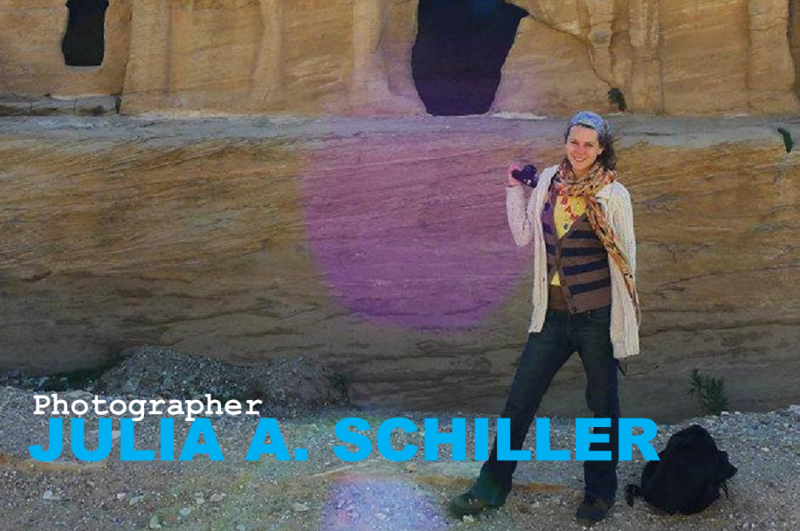 Julia Schiller is a freelance photographer and artist. View her website at JuliaSchiller.com. Her black and white photo essays have been published in The Jerusalem Post. Solo Exhibition work includes:“On the Wall,” Jerusalem 2010; “Buried in the Garden,” Tel Aviv, 2011;, “Market Labor,” Hertzaliya, 2012; “Danger of Drowning”, Tel Aviv, 2012; “Driftwood”, Kenosha, 2016. Group exhibitions include “Going through Piles,” Rishon L’Tzion, 2012, and the “Re-Orientation” Biennale, Sachnin, Israel, 2013.